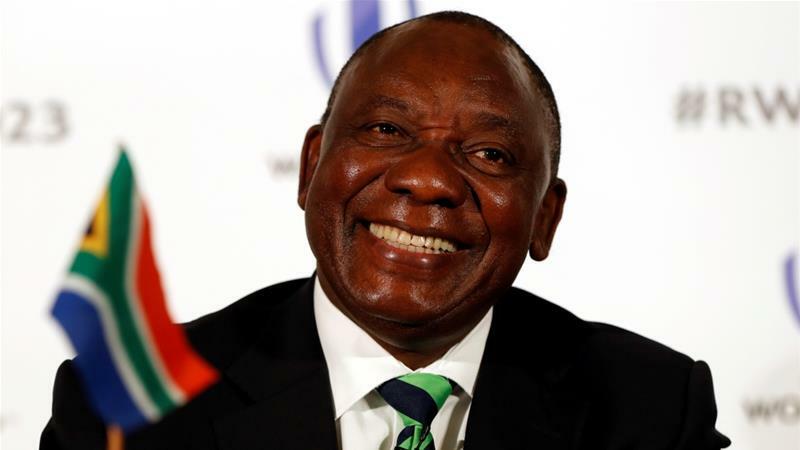 Cyril Ramaphosa has been elected as the new president of South Africa by the ruling ANC party politicians after the resignation of Jacob Zuma. The country's 400-member parliament, dominated by the ruling African National Congress Party (ANC), elected Ramaphosa on Thursday to finish his predecessor's term, which ends with elections in 2019. The ANC has finished first in every national vote since the end of white-minority rule in 1994. The Economic Freedom Fighters Party (EFF), the country's leading opposition party, walked out of the parliament session before the vote, calling the election by the ANC "illegitimate". In December, 65-year-old Ramaphosa narrowly defeated Nkosazana Dlamini-Zuma in the race to replace South African President Jacob Zuma as the head of the party. Ramaphosa was born in 1952 in Soweto, a township southwest of the Johannesburg city centre, and went on to study law at the University of the North at Turfloop.